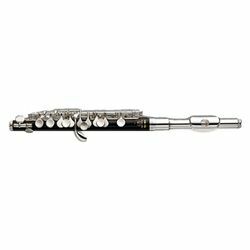 With its easy playability, accurate intonation, and characteristic piccolo sound, the YPC-32 is very popular with students as well as doublers. The body is made of sturdy, maintenance-free ABS resin for a sound similar to that of natural wood. Yamaha standard piccolos feature a quality tone, perfect for performance situations and their wear resistant construction makes them ideal for marching.